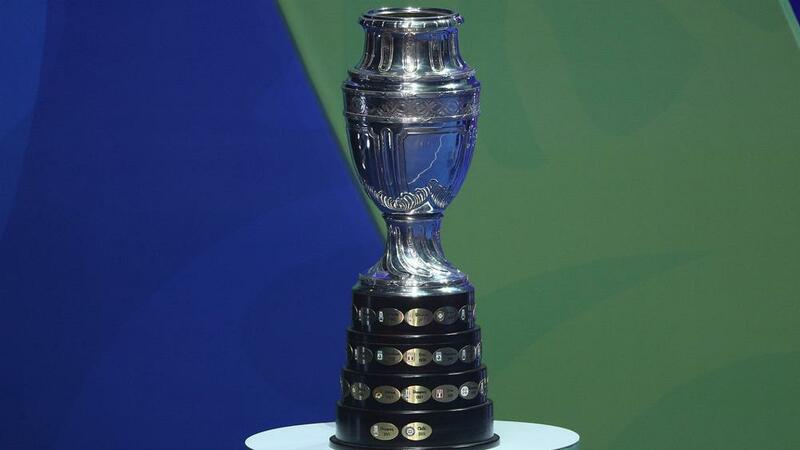 Argentina and Colombia have been confirmed as co-hosts of Copa America 2020. The two countries were officially named host nations on Tuesday by CONMEBOL, who earlier this year rejected a proposal from the United States. CONMEBOL confirmed on Tuesday that the expanded tournament, comprising 38 matches, 12 more than the current format, will initially be split into two groups of six teams. These groups will be a South Zone - Argentina, Chile, Uruguay, Paraguay, Bolivia and a guest nation - and a North Zone, made up of Colombia, Brazil, Venezuela, Ecuador, Peru and one further invited country. Four teams from each group will qualify for the quarter-final stage. In announcing the decision, CONMEBOL president Alejandro Dominguez said: "The central objective of this change is to provide more facilities to fans and to bring the matches of the national teams geographically to the South American public. "The fan will be able to enjoy at least five of his national team matches, which reinforces the spectacle and the sporting celebration."